Some visitors to South Africa for the World Cup will be spending a great deal of time lounging peacefully on a terrace, watching the elephants, leopards and antelopes gather at the watering hole. That's how hundreds of football fans will relax in South Africa's Kruger National Park on 'soccer safaris', after taking in World Cup matches in the nearby city of Nelspruit. With 100,000 people, Nelspruit is among the smaller of the host cities and doesn't have enough accommodation for the fans expected to arrive here in June 2010. So organisers are tapping resources in the tourist magnet of the Kruger National game park, just a two-hour drive away. "Any person who comes so close to Kruger would definitely come to see the game. You cannot miss it if you're that close to it, especially coming from Europe or Asia," said Stephen Nel, a manager at the Berg-en-Dal rest camp. About 1.3 million tourists each year visit the park, which is about half the size of the Netherlands and the area has a highly developed network to accommodate guests. During the World Cup, the camps of Skukuza, Berg-en-Dal and Pretoriuskop will host nearly 2,000 fans in search of South Africa's "Big Five" - elephants, buffalo, leopard, lions and rhinos. FIFA partner responsible for accommodation, Match, is offering packages that include lodging, transport and safaris, which could mean pre-dawn drives to catch the animals at sun-up, twilight hikes, or dinner in the bush. To allow the guests to see the football matches, the Kruger Park is reworking its rules. The park currently closes at 6:00 pm, and some games at Nelspruit's Mbombela stadium will only kick off two hours later, so allowances will be made to accommodate visitors during the World Cup period. 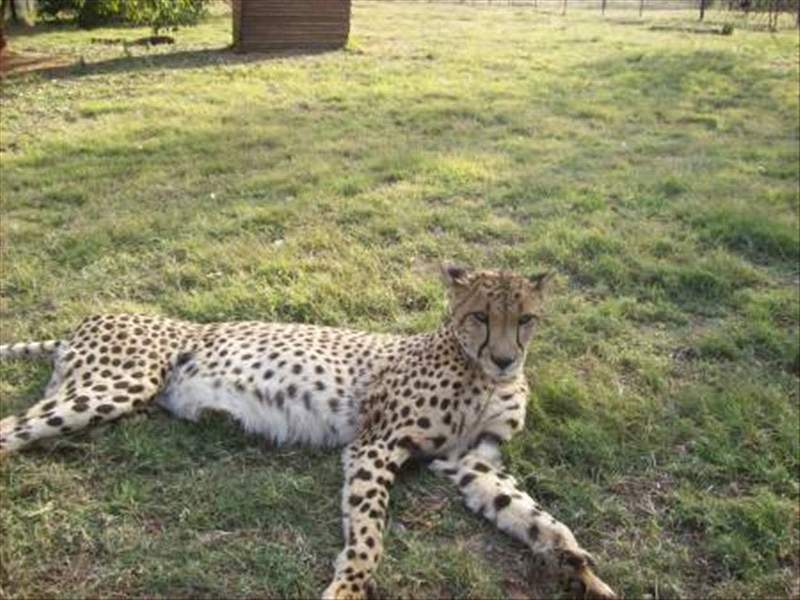 Closer to Rustenburg’s Royal Bafokeng Stadium, getaway hotspot Hartebeespoort Dam offers a secluded peaceful African surrounding with a fantastic conservation park nearby, called the De Wildt Cheetah and Wildlife park. Goal.com visited the park to see the wildlife and it was a truly incredible and unforgettable experience. This reserve is a truly amazing place, with visitors able to caress tame cheetah’s known as ambassadors, and experience the wonder of some of the world’s most incredible wildlife. World Cup visitors looking for an interesting way to spend the day should consider the De Wildt Park, as it is an unforgettable experience that one finds in only a few places in the world. A day visit is a must, but for those hoping to secure lodging at the park, there is limited space and early bookings are essential.